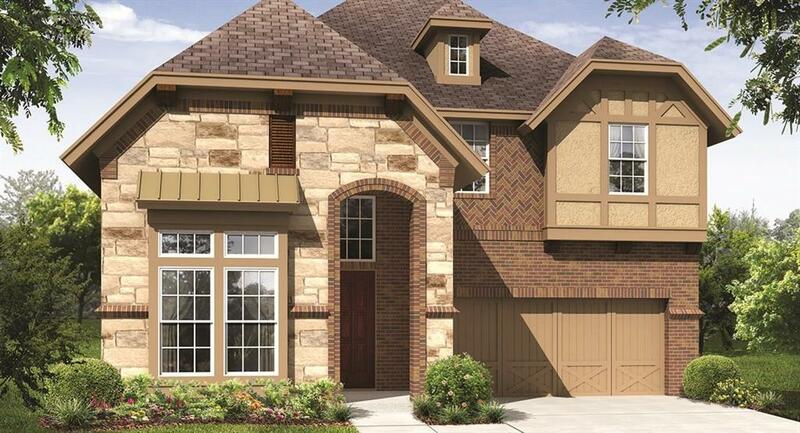 Our Dawson is a popular home design with a wide open foyer leading to vaulted ceilings in a spacious family room! This home was definitely set up to entertain! Wide open kitchen to dining to family room. There is a home office on the first floor away from the hustle and bustle of the home. The kitchen has saddle colored cabinets with granite counter tops & pendant lights adorn this designer kitchen. There is a mud room with hooks to hang backpacks & coats. Second floor boasts a large game room! There is a unique Jack & Jill layout upstairs with equal size bedrooms on one side & the 4th bed & bath is on the other side of the game room. Theater lovers rejoice, there is a media room! MOVE-IN READY!! !